Tensions escalated in East Ukraine’s armed conflict zone in recent weeks, with heavy shelling taking place in the last two days near Mariupol, Ukraine, as reported by news outlets, city and suburb residents. 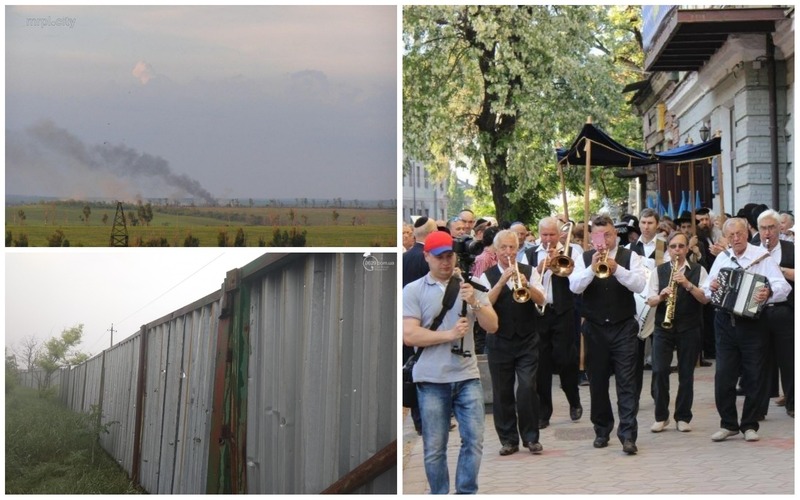 Mariupol’s Jewish community is keeping on high alert while carrying on daily life as usual. “There were massive explosions in the last two days, going on day and night continuously. We have some community members who live in the suburbs, really close to the fighting lines,” said Mariupol’s Rabbi Menachem Mendel Cohen in a phone interview this morning. “However, at this point, after speaking with community members – women, children, the young and the elderly, the majority decision is to stay put, hoping that the fighting will calm down and life return to normal,” he said. Local news outlets report that this is the heaviest outbreak of fighting in eastern Ukraine’s conflict since 2015. Nevertheless, city and community life is going on as usual, schools and kindergartens are open. “We are praying for the best,” Rabbi Cohen said. Last week the community rejoiced as a new Torah Scroll, written in the memory of Rabbi Cohen’s father was welcomed to the local synagogue. The occasion was celebrated with music and dancing through Mariupol’s streets, and a festive ceremony in the synagogue. Close to a hundred people attended. In the upcoming summer months Mariupol’s community, with the help of FJC Summer camp network, is planning a family camp in Ukraine’s Poltava region to provide its members with a much-needed break. There will also be an additional children’s summer camp.